I painted in watercolour for over 30 years and once in awhile I decide that one of my old watercolour compositions might work well in oil. The original watercolour for the oil below was painted in the mid 1980's. The subject is a group of rowboats pulled up on the beach in St. Ives, Cornwall. 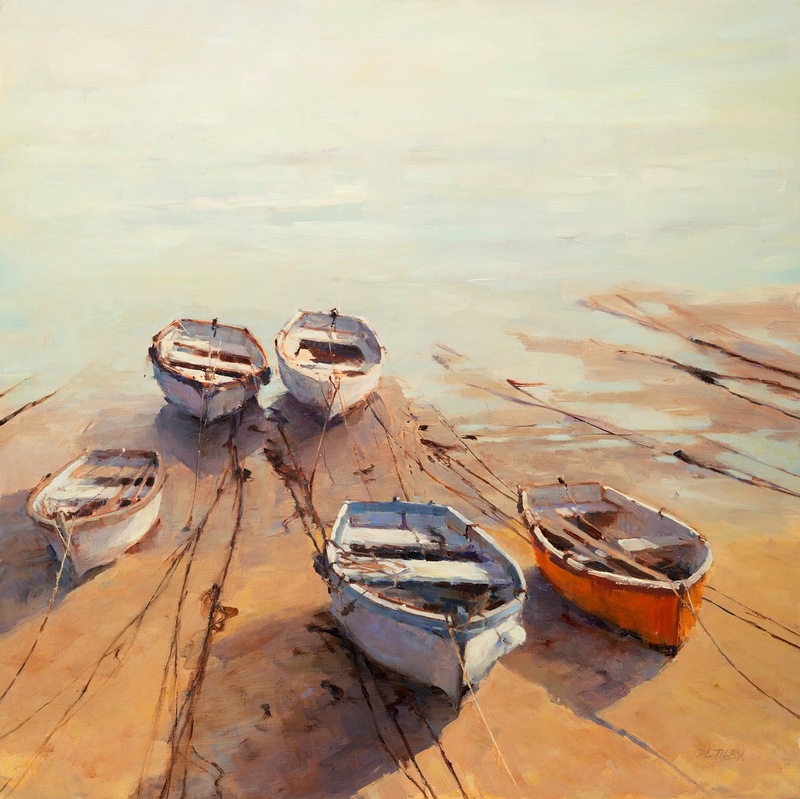 I have always loved painting old boats and enjoyed trying to capture the transition between dry and wet sand. It worked very well in watercolour and I think I managed to get the same effect with oil. You have created the beauitful and such a porfessional painting. I guess oil painting is far better than the water colors. Oil painting is concrete and we can see the shine in it.